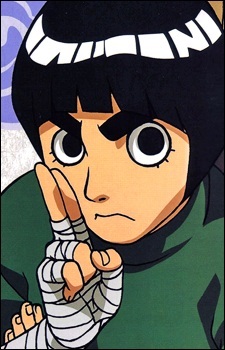 Rock Lee is a fictional character in the anime and manga series Naruto created by Masashi Kishimoto. Kishimoto considers Lee his favorite character to draw, and at first designed Lee to symbolize human weakness.In the anime and manga, Lee is a ninja affiliated with the village of Konohagakure, and is a member of Team Guy, which consists of himself, Neji Hyuga, Tenten, and Might Guy—the team's leader. Unable to use most ninja techniques, Lee dedicates himself to using solely taijutsu, ninja techniques similar to martial arts. Lee dreams of becoming a "splendid ninja" despite his inabilities.